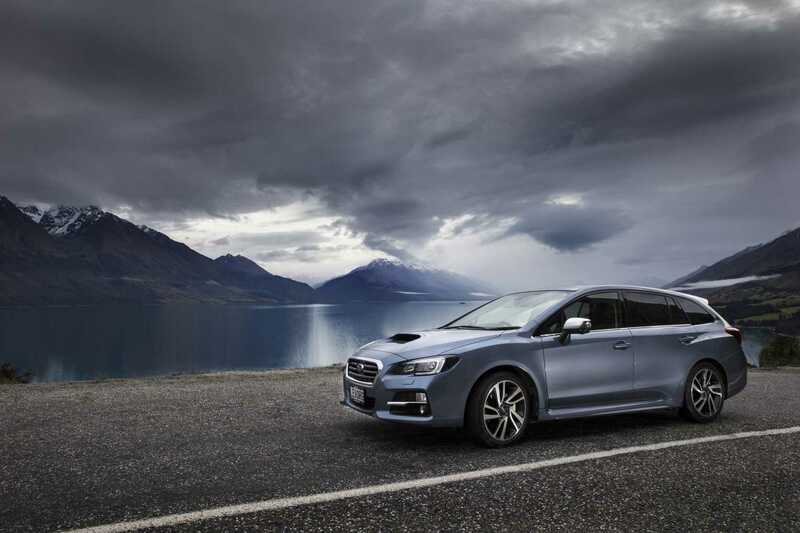 Subaru’s all-new turbocharged, Levorg has been launched in New Zealand, offering style, substance and sophistication in a sports wagon package. The spiritual successor to the much-missed Legacy GT wagon, Levorg’s sports wagon exterior dimensions cleverly clothe a spacious cabin in which classy trim and leading-edge technology combine to produce a classic Subaru All Wheel Drive experience. Subaru of New Zealand’s Authorised Dealerships will be offering one Levorg specification, the 2.0GT-S, from mid-July. This smart, sleek model hosts a wide variety of premium features including Subaru’s EyeSight® Technology, Bilstein suspension and blue stitched interior trim. Levorg’s sporty character is powered by the proven, efficient, turbocharged 2.0-litre Direct Injection engine, producing 197 Kilowatts of power at 5600 rpm and 350 Newton metres of torque from 2400-5200 rpm. Levorg is available exclusively with the eight-speed Subaru Lineartronic™ Transmission (SLT), with Subaru Intelligent (SI) Drive, that features multiple performance modes to suit a wide range of driving styles, from sporty to economical. The Levorg 2.0GT-S is priced at $56,990 (RRP). Subaru of New Zealand’s Managing Director, Wallis Dumper, says “Levorg is an exciting and superior all-new sports wagon package that combines turbocharged driving performance, nimble handling, safety and versatility in an optimal body size. “It’s innovative and embodies both sports and touring performance. Also given the Levorg’s success in international Subaru markets to date, we are optimistic about its appeal factor, given its suitability for Kiwis,” Mr Dumper says. “Our high specification model Levorg is perfect for New Zealanders who don’t want an SUV or sedan. Despite the global trend towards SUV ownership, which Subaru of New Zealand is following with its predominant SUV sales, we recognise that not everyone wants one. Passionate drivers enjoy the handling of a performance vehicle. Sales of the new generation Subaru Legacy sedan and the ongoing success of the WRX prove that there is still a strong market for driver’s cars,” he says. Mr Dumper adds that the Levorg is the “spiritual successor” to the fourth generation turbocharged Legacy GT wagon in size – yet is larger in every key dimension. Levorg has the same external width as the fifth generation Legacy. Levorg is Subaru’s first all-new model since BRZ was launched in 2012. Mr Dumper says it has been a much anticipated new addition to the Subaru of New Zealand stable after it was launched globally last year. “When the Subaru Levorg was launched in Europe, its sales figures showed it was proving to be extremely popular, particularly with those who have previously owned Legacy GT wagons. Given that Levorg is a performance wagon, which is similar in size to early generation Legacy GTs, it is a fantastic option for those Kiwis who need space for their family adventures but want to head away from them in a true driver’s car. As a strong market for Subaru, we had to wait for the 2.0-litre DIT, whereas other markets where Subaru is growing, were offered smaller capacity models. Kiwis get the best spec and we know all will acknowledge it was worth the wait when they drive it!” Mr Dumper says. Every Levorg has an independent maximum five-star rating for occupant safety from the respected Australasian New Car Assessment Program (ANCAP), in line with the entire Subaru new car range in New Zealand.